The other day I came across an article in the Wall Street Journal that discussed the trends in flowers and gardening. Of course I was intrigued by this because I didn’t really know how there could be a trend in flowers. The current flower trend is known as “Field to Vase Bouquets.” The point is for to give your home that rustic feel (with a good smell of course). Unfortunately, I don’t know where I can go pick beautiful flowers in the city, but if I’m lucky my mom might let me take some from her rose garden. 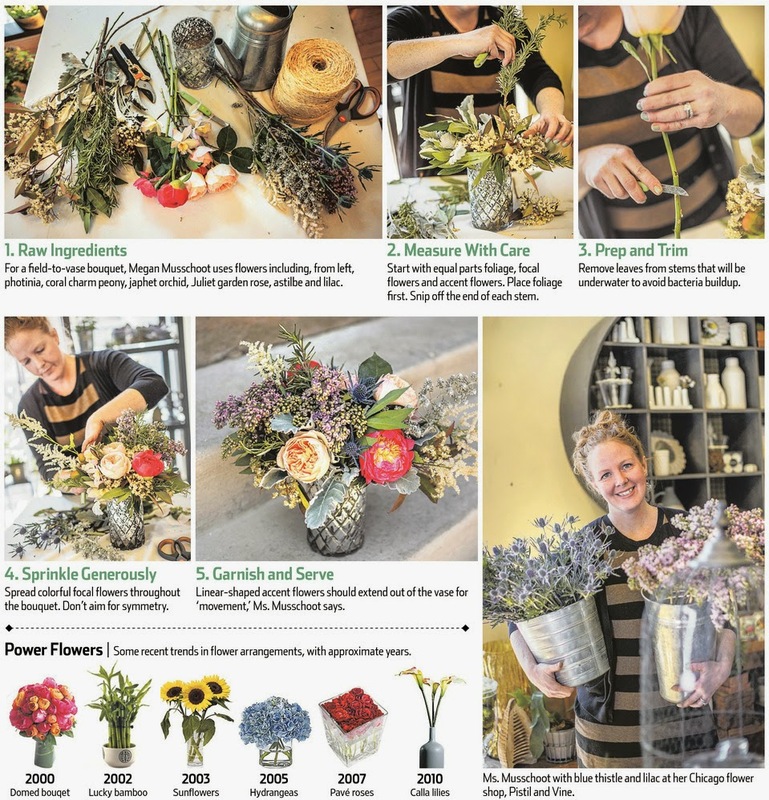 Below is a screen shot of the article, so you can beautify and spring-ify your home or you can make a bouquet for your significant other 😉 This would also make a beautiful Mother’s Day gift! 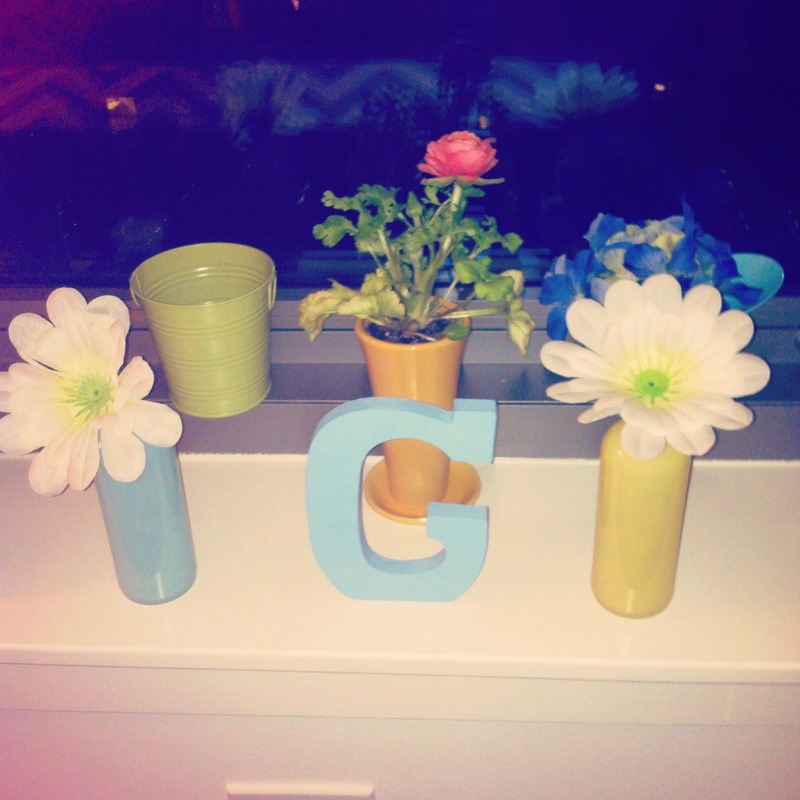 Most of the flowers in my apartment are fake… below is a picture of one of my window ledges. The green pot is growing basil and the middle is a flower from a garden show. I bought these tiny vases from Michael’s craft store. I love the pop of color especially when the sun shines in.